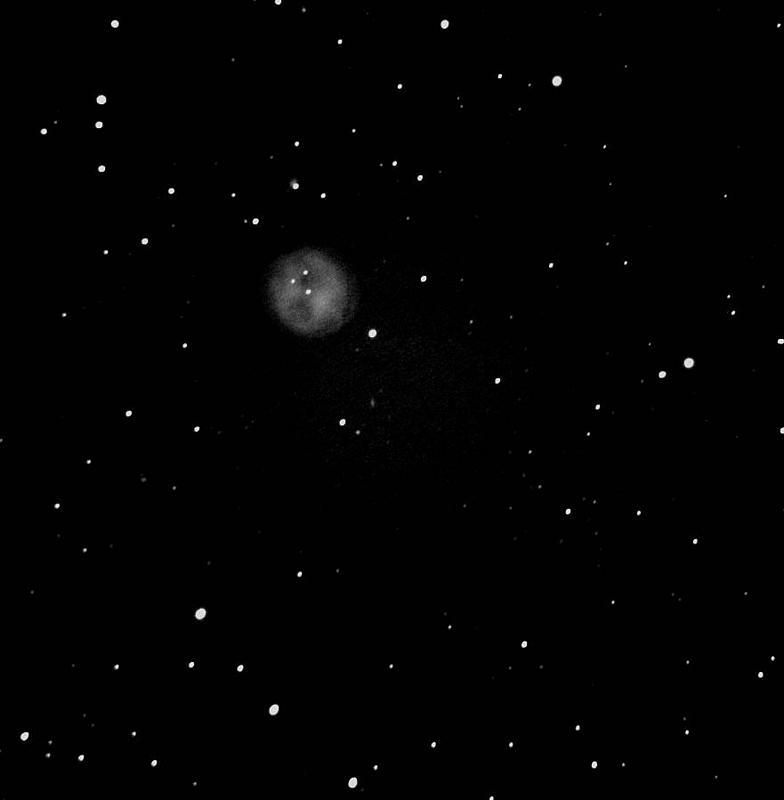 Description of object: The planetary nebula M97 in Ursa Major is also known as the Owl Nebula. 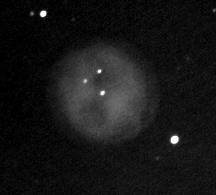 This nebula is larger than the ring nebula but more difficult to observe due to its low surface brightness. Image Information: 22:50 May 18, 2002. The images on this page were created from sum stacking, and background flattening, sixteen 30 second exposure images. See below for a closer view of the nebula.